Last updated: May 14, 2018 at 2:08pm by Savanah – $3.06 billion was generated by the state lottery in the 2016 fiscal year; an all-time record. On December 22, 2017, a bill to regulate daily fantasy sports (DFS) betting over the internet was signed into law. The four casinos in Ohio were slightly down in revenue (2%) in 2016 compared to the previous year which generated $812.3 million. However, in 2017, casino revenue was up about 2% from 2016. “Bet” means the hazarding of anything of value upon the result of an event, undertaking, or contingency, but does not include a bona fide business risk. “Game of chance” means poker, craps, roulette, or other game in which a player gives anything of value in the hope of gain, the outcome of which is determined largely by chance, but does not include bingo. As you can see they are pretty specific on their definition of “bet” and “game of chance”. There aren’t many states at all that go into this much detail in their gambling laws. Many other state laws might mention “game of chance” but they do not specifically mention poker, which allows many to make the argument that poker is a game of “skill” and not “chance”; but you can’t make this argument in Ohio law. However, Ohio’s gambling laws do not specifically state that playing poker over the internet is illegal. Additionally, we could not find any instances where a person was arrested, fined, and/or sentenced to jail for playing poker online. 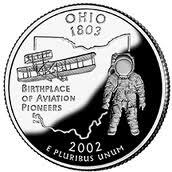 State Lottery – The Ohio Lottery Commission was created in May 1973 by a voter-approved constitutional amendment. The first tickets went on sale in August 1974. Today, the Ohio Lottery Commission offers customers a wide variety of instant games and online games to play at more than 8,800 licensed retailer locations across the state. Since 1974, the Lottery has provided more than $20 billion to public education. They annually provide about 4 percent of the total funding needed for public education. Pari-Mutuel Wagering – There is thoroughbred racing in Cleveland, Cincinnati and Columbus, short quarter in Cincinnati and Columbus, and harness tracks in Cleveland, Columbus, Toledo and Lebanon. Harness racing also takes place at 67 county fairs from June through October. An off-track betting facility is located in Sandusky. The state’s horse racing industry, governed by the rules and regulations of the Ohio State Racing Commission, directly and indirectly generates approximately 16,000 jobs. The state’s sixth racino, Hollywood Gaming at Dayton Raceway, opened August 28, 2014 and made a very satisfying $1.9 million in its first four days of business. The seventh, and final, racino opened on September 17, 2014. 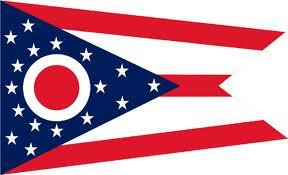 Commercial Casinos – The voters passed a constitutional amendment in 2009 to allow four casinos in the state of Ohio which are located in Toledo, Cleveland, Columbus and Cincinnati. Their revenue in 2015 was calculated at $812.3 million. The American Gaming Association came out with a study stating Ohio’s casinos contributed $3 billion to the state’s economy in 2014 (the most recent study made available). Charitable Gaming – There are three forms of charitable gaming permitted in Ohio; charitable bingo, raffles, and games of chance. Organizations wishing to conduct a raffle must have received a tax-exempt determination letter from the Internal Revenue Service stating that it is exempt from federal income taxation under Section 501(c)(3) of the Internal Revenue Code and 50% of the proceeds must go to a charitable purpose. A “game of chance” is a poker, craps, roulette, or other game where the participant pays money in hope of gain, the outcome of which is largely determined by chance. Generally, games of chance may only be conducted at festivals of charitable organizations that last for no longer than four consecutive days and are held not more than twice a year, or for a period of five consecutive days not more than once a year. No license is required for a qualified charitable organization to conduct games of chance at festivals.